Is your dog a mutt? While the shelter, rescue organization, pet store or breeder that you adopted your mixed breed from may have you told which breeds they think he is derived from, how can they know for sure? The fact is, there is no way to know other than to dig into your dog's genetics. Using a dog DNA test is the only way to be sure which breeds your dog is made up of. DNA testing for dogs has been around for more than a decade now, but it's just now becoming more popular among pet owners. Why? Because pet owners, breeders and pet stores have realized the benefits of DNA test kits for dogs, and with constant updates and improvement of genetic testing, there's potential for more than simply learning about the dog. In fact, scientists are now elbow-deep in using dog DNA testing in forensic work and more research shows a lot of hope for expanding this analysis of canines' genetics (1, 2). Why a dog DNA test is useful to pet owners? So, what can you get from digging into your canine's genetics to learn more about your dog? Quite a lot, particularly for owners of mixed breed dogs. I recommend you listen to our podcast episode where we talk to dog experts about the benefits of DNA test kits for dogs and how effective this method actually is. Industry vets from Embark DNA have revealed tons of curious information that's worth learning about. 1. You'll learn about the breeds that make up your dog. Let's say the shelter told you that your mutt is a Labrador/Pit Bull mix. He may have some of the physical features of those two breeds, but canine DNA testing may actually show that he is made up of 5 or 6 different breeds (going really far on his family tree). 2. You'll know the exact percentage of the breed. Not every dog DNA test can do this, but a few of them can tell you exactly what percent of each breed your dog is made of, going as low as into single digits. This is very useful to know for dog's health reasons, which we discuss below. 3. You'll get your dog's behavior explained. Understanding exactly which breeds make up your dog will tell you a lot about what you can expect about your dog's behavior and his needs. If you know that your dog is 40% Boxer, 30% Labrador, 20% German Shepherd and 10% Newfoundland, you'll be able to assume certain characteristics about what he may look like and his personality. 4. You'll understand how to care for and prevent illnesses in the dog. Finally, and most importantly, some of the best dog DNA tests can reveal potential health problems in your dog. Knowing the genetic makeup of your canine will give you vital information on what to expect in terms of your dog's health and lifespan, which can help you to prevent certain canine diseases or know how to deal with them more effectively. You could also do some research on the common health ailments in those breeds. If you notice that diseases like canine cancer or canine arthritis are common in the majority of the breeds that make up your pet, you should educate yourself on the signs and symptoms to look for. Talk to your vet about preventative measures that you can take, and watch for warning signs; the earlier you treat the condition, the better the results. Wouldn’t it be interesting to know your dog’s hereditary traits, any concerns related to the dog's genes, and his family tree and breed identification all at once? Not all products offer this, but the Embark dog DNA test certainly goes above and beyond. The best dog DNA test kit from Embark Veterinary offers precisely these clinical analyses, which can trace almost 200,000 generic indicators with over 160 health results (including MDR1 drug sensitivity), all in one procedure. We've done a full podcast with the creators of Embark DNA test kit for dogs as well as an extensive written and video review you can find here. With this doggy DNA test kit, you do away with numerous lab tests and exorbitant vet bills. More than that, you’ll discover why your pooch appears and behaves the way he does. 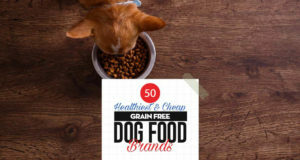 With this information you’ll be able to figure out what makes your dog tick, provide personalized health care, diet and exercise, and work out a wellness plan for Fido's future. Animal owners who learned that their pets had no genetic health risks were understandably relieved. 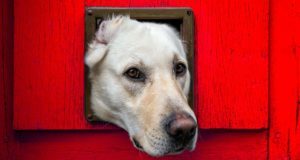 On the other hand, those whose pets were found to be at risk of developing certain diseases were grateful that they could accordingly take precautions and prepare for their dog’s healthcare. The Embark Dog DNA Test provides an exhaustive report, which also includes recommendations. As for breed recognition, users found this feature to be very useful especially for dogs acquired from rescue centers and dog shelters. Embark Veterinary testing accurately detects a dog’s genetic background all the way back to his great-grandparents. This eliminates doubts as to his exact breed and pedigree. With this invaluable information, dog owners now have more fun unraveling the mystery behind their dog’s genes and are better equipped in making difficult choices pertaining to their pet. Some buyers say that they do not believe the results of the test because of their pet's physical appearance or what they were told from the facility they adopted from – again there are reviews like this for every brand. Without proper DNA testing, it would be a lifelong quest understanding your dog’s individual traits and behaviors. It would also be nearly impossible to provide him any necessary interventions. Mars Veterinary DNA test kit for dogs offers their comprehensive DNA test services to help you get insights on your pet’s genetic system (almost) to the fullest. The services include MDR1 multi-drug sensitivity test that could help prevent potentially harmful drug effects. Test results will also give you a weight range prediction for puppies and dogs to help obtain their correct balance of food and exercise regimens. Breed and ancestry detection going back three generations of parentage are also included. Aside from the aforementioned features, if you use the Mars Veterinary Wisdom Panel 3.0 you also get a customized report on the following – for purebreds, you get a breed certification and level of genetic diversity; for designer dogs, a certification to the effect that your dog is an authentic 50/50 hybrid of two purebred origins; for all types, comprehensive information on how to provide effective training and wellness program. Canine owners were particularly impressed with the company’s customer care service. When they contacted the company for some doubts they initially had regarding the results, they promptly received an answer through mail, a call, or both. The company went out of its way to explain how the process works and what they based their findings on, and answered questions from the owner. This kind of responsiveness was well appreciated by the customers who now think highly of this product and the company behind it. There are a few reviews from owners who did not see the benefits of the testing that they received, however you'll find this complaint with any DNA test. Some buyers say that they do not believe the data of the test because of their pet's physical appearance or what they were told from the facility they adopted from – again there are reviews like this for other products. If you’re an owner of mixed breed, adopted or rescued dogs, here’s your chance to ascertain the genetic makeup of your pooch. This doggy DNA test from DNA My Dog allows you to be more pro-active and learn about the various breeds found in your dog’s unique heritage, determine his potential susceptibility to any health risks, and discover your dog’s basic strengths and personality traits related with each breed. Perhaps, too, you’ll be able unlock some of your pooch’s innate abilities in the process. There’s no gainsaying that DNA testing in dogs has contributed a lot to both pets and their human. Where before pet owners could only hazard a guess or trust what professionals say about their dog, now they could easily identify their pup’s full breed ancestry with the DNA My Dog kit. This is one less popular DNA kits but it's gaining attention. Just knowing the information it provides, it already solves half of mysteries for owners, and they’re more confident that they’ll be able to handle the rest through deduction. Clients using the DNA My Dog Canine Test say that its useful in more ways than they’ve ever expected. Buyers say the data they received has helped them maintain the right training and work-out programs for their canines, provide the requisite diet, and take extra care to keep predisposed diseases at bay. It’s also very simple to perform the testing process – even elderly pet owners have no problem taking the samples and following the instructions. Some buyers say that they do not believe the information of the test because of their pet's physical appearance or what they were told from the facility they adopted from. Here’s one of the most affordable dog DNA test kits on our list. Like the other pricier DNA scans available, DNAffirm’s DNA Test affords the same basic insights into your dog’s own unique structure, his predominant breeds, behavioral traits, form and appearance, exercise levels, health issues, and potential susceptibility to hereditary diseases. The resulting data will also include a custom photo certificate of your pet’s breed structure. 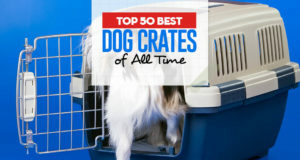 Most of the pet owners who purchased this were surprised by what they got, especially for those who got their dogs from rescues which had no records as to the dogs’ lineage. The information and data held in the reports were really eye-opening to many. Although there were some who disagreed, a large majority of buyers took the results positively. The explanation was scientific, logical and very convincing. Pet owners say the DNAffirm Canine Breed Identification Kit has greatly helped them in making informed decisions about their pet's care. Overall, users of this DNA kit say that performing the steps is straightforward and trouble-free. Everything is so simple including the company’s website, which is a breeze to navigate – it’s not called a home kit for nothing. It’s also a most economical approach to identifying your dog’s breed. Multiple reviewers were not satisfied that the results give percentages of breeds in a very large range. For example, one reviewer said they were told their dog was 37%-74% Chow. Paw Print Genetics’ superior capability Canine Health Check probes deep into your dog’s DNA to screen it for genetic diseases and predispositions. This test will check your dog’s DNA against 150 genetic mutations that cause serious congenital disorders and adverse behaviors. It's not as popular as others above, but it's one of the best DNA kit products due to other features. If existing in your dog and these genes are left undetected, both you and your pooch will not have an easy time coping. It goes without saying that understanding your dog’s inborn health hazards is imperative, particularly those nonfatal diseases which are easily treatable. This Canine Health Check not only helps avert potential health issues, but also spares you from huge vet and lab workup costs. According to many owners of adopted or rescued dogs with unknown medical and genetic history, they are grateful for the Canine Health Check’s impressive individualized report on their pets and the company’s excellent customer service and online accessibility. The testing results were given based on breed, genetic makeup and symptoms, and they came with recommendations. For questions and clarifications, their customer service is always available and quick to respond. Paw Print Genetics Genetic Health and Disease Screening Test for Dogs report will also indicate if your dog is affected by or a carrier of a certain disease. 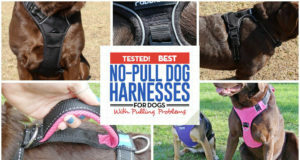 Dog owners were not the only ones who benefited from this product. Dog breeders, as well, have used this in their facilities. Breeders say they use it as a tool to ensure that they get the finest batch for breeding possible. They’re one in recognizing the necessity of testing each dog involved in their breeding program before it is allowed to spread its genes. According to them, this may even help reduce the incidence of canine genetic diseases in the years to come. I am sorry to hear that you are unhappy with our service. If you would like to get in touch with us directly we would be happy to look into any concerns you have regarding your test and/or results. You can get in touch with our customer service team at [email protected], or you can phone our office at (416) 691-4160.